Group Discussion Ideas > General GD Topics > Nuclear Energy in India – Boon or Bane? Nuclear Energy in India – Boon or Bane? Nuclear power is the fourth-largest source of electricity in India after thermal, hydroelectric and renewable sources of electricity. There are 442 nuclear reactors in the world. And some more nuclear plants are in construction. As of 2010, India has 20 nuclear reactors in operation in six nuclear power plants, generating 4,780 MW, while 5 other plants are under construction and are expected to generate an additional 2,720 MW. India plans to increase nuclear power output to 64,000 MW by 2032. It aims to supply 25% of electricity from nuclear power by 2050. 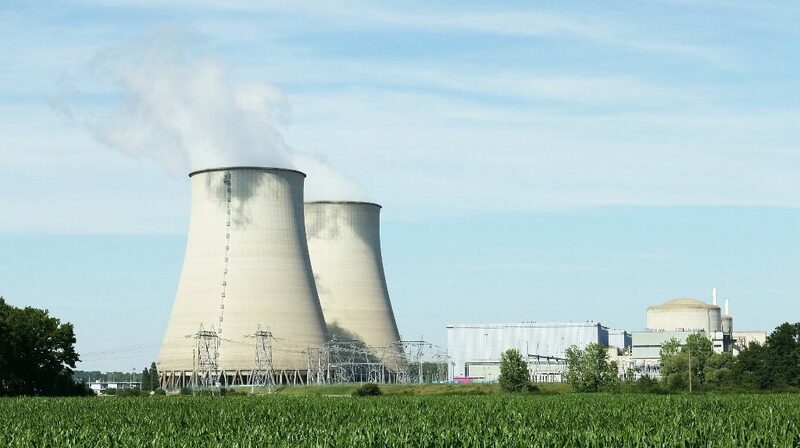 Six nuclear power plants in India are located in Kaiga in Karnataka, Kakrapar in Gujarat, Kalpakkam in Tamil Nadu, Narora in Uttar Pradesh, Rawatbhata in Rajasthan, Tarapur in Maharashtra. India involved in ITER ( International Thermonuclear Experimental Reactor ), which consists European Union, United States, Japan, China, South Korea, Russia as other members. Indo – US nuclear deal was done on July 18th, 2005, under which India agreed to separate its civil and military nuclear facilities and place all its civil nuclear facilities under International Atomic Energy Agency (IAEA) safeguards and, in exchange, the United States agreed to work toward full civil nuclear cooperation with India. Nuclear fission produces energy equal to 10 million times of the energy produced by burning of an atom of fossil fuel or hydro or wind power. Through Nuclear plants, we can save our planet from Global warming as there is no release of greenhouse gases (carbon dioxide, methane, ozone, chlorofluorocarbon) during nuclear reaction. By burning fossil fuels, poisonous CO2 releases. Uranium is obtained from open-cut mines, which is not expensive. And Currently, the high reserves of uranium found on Earth, are expected to last for another 100 years. Nuclear fuel is inexpensive and easier to transport. Nuclear Energy can be produced in large quantities over short periods of time. When compared to the fossil fuel waste, the nuclear waste which occurs due to the production of nuclear power is small in quantity. We can save oil reserves which are going to be run out at some point. Nuclear plants are dangerous if it explodes. Thousands of people suffered in the nuclear accident happened in Chernobyl in 1986. Recently, on march 11th, 2011, four nuclear reactors exploded in Japan due to earth quake. And there are 17 nuclear plant explosions happened in the world till now. Nuclear power releases radiation, which causes severe health problems to the people in it’s surroundings. The radiation released by this, lasts for tens of thousands of years in the environment. In Japan, at the place of nuclear reactors which are exploded, high radio activity was found in water, leafy vegetables, sea food, and in the people, who are working for reconstruction those power plants now. Nuclear reactors last for about 40 to 50 years. Terrorists may take advantage of this and may produce nuclear weapons, which is a great risk for entire world. Even though it produces small amount of waste, it is highly hazardous. And the long-term storage of this waste is too difficult. Nuclear plant is highly expensive. Uranium is not renewable. If the resources of uranium are completely used, there isn’t any more. It’s definitely a bane as it is highly dangerous. What is the use of this power, when people are suffering from severe health problems. It’s not too difficult to live without power, but it’s difficult to live without good health. Growth of Technology should not be a danger for human survival. We should work more on alternatives such as solar energy and hydroelectric energies etc. india would be in the dark rather than loose its population. i think nuclear energy in INDIA shouldn’t be bane because nuclear energy along with other green energies has a major role to play in years to come. Moreover, if it’s have to bane then PM would have not taken step to inaugurate extra unit in Kudankulam plant. I think nuclear reactors are bane for us because it can cause many health hazards problems like the one we have seen in japan due to the radiation….and it last for hundreds and thousands of years.infact it can effect to our coming generation. so at i would like to conclude that we should give more attention towards the other energy resources like solar energy plants,hydroelectricity power plants etc. the lines which is u written its reflacts that there is no doubt that ur thinking power may be deeper…. thanx a lot 4 these points !!! This was really helpful for my group discussion.Thank you so much ma'am. It is very useful to get minimum awareness on Nuclear Energy. It is like keeping an expensive ferocious dog to protect your house, which can be dangerous to the house owner also. aal these information has helped me in my debat competetion….. thanx a lot………. thanks a lot for this useful information , it has helped us a lot , we really thank you!!!!!!!!!!!!!!!!!! excellent work done by the team. its very useful points generated by you. thanx a lot. content is appreciable but i think conclusion is fade the beauty of this text..
this is awesome nd useful 2………. wat i think, going for alternative tech. will take time and and our fossils are at the verge of depletion. Using nuclear energy can certainly reduce its consumption. Also it will help reducing emission of green house gases, which is the major problem of the time. We should go for nuclear energy till other technology are created like ITER, hydroelectrics, solar,etc…. apoorva you are taking the example of japan but have you gone through its history. the japan nuclear plant was set up in 1960 while the nuclear plant that india is using is built up with many new technologies just go through the kalpakkam power plant it has an automatic shut down whenever a natural calamity will occur and also if a plane crashes due to some engine problem you why dont u stop flying? Yeah pinks… You are right in your point of view. 🙂 But the thing is… if the disadvantages are a lot more than advantages, should we go for it still? When entire world is crying for electricity, India is no exception of that. Many of the villages are still under dark. Think of the situation where there is electricity cut of even one or two hours, people are crying. Every source of energy whether it is thermal, hydel or nuclear, has its advantages and disadvantages. Certainly, a country like India has to depend upon many sources including nuclear power to support the growing electricity needs of the nation. yes we are avoid the nuclear plants and move towards the invention on solar energy and hydraulic energy. i luv d conclusion . dats vry true n effective…..
its fantastic n all the points are very relevent….. thnx alot……. These points really helped me for debate. Thank you all for your valuable comments…. Thank you it is helpful for my work. its exellent all the points which i required are available in it thanks!